Liverpool FC today became the highest profile Premier League club to launch an official presence on China's Weixin (WeChat) social platform. To mark the launch, club captain Steven Gerrard became the first Liverpool player to record an exclusive audio voice message to welcome new followers of the LFC Weixin account. The new account - launched to coincide with the start of the new Barclays Premier League season - is the first of a number of new media initiatives that LFC will be introducing for Chinese fans over the next 12 months. After the successful launch of LFC websites in Thailand and Indonesia earlier this summer, an official Chinese-language site is planned for release later this year - whilst talks are currently underway to bring LFC TV to a Chinese audience. 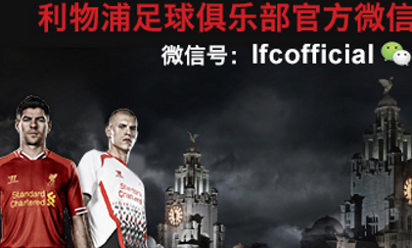 Liverpool FC became the first football club in the world to launch an official account on Sina Weibo back in August 2011 and now boasts 1.5m followers across three social media platforms in Sina, Tencent and Youku. The Weixin launch will now see the Reds further increase its daily engagement with Chinese supporters - making full use of the 'voice message' facility to allow the club's players to speak directly to the supporters. Weixin - owned by Chinese media giant Tencent and more commonly known as WeChat around the world - has been a revelation from the moment it launched in January 2011. Having become the quickest social media network in the world to hit 300 million followers, it now boasts over 100 million users from outside of China. 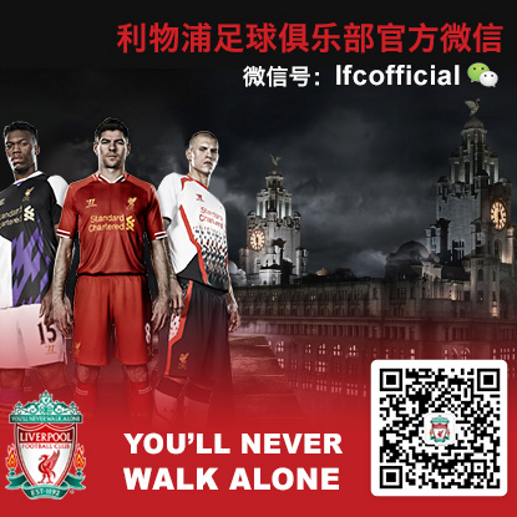 To follow the Official Liverpool FC Weixin account, simply download Weixin/WeChat for free on your phone and search lfcofficial under Contacts > Official Accounts or simply scan the QR code below and help make LFC the No.1 club on Weixin in 2013!